After spending three years at Georgia Tech as a chemical engineering major, Snedeker realized that she hated the field in which she had planned to spend her whole career. A very social person, the solitary nature of research stifled her. Without strong career guidance, she quit school and fell into an assortment of temporary jobs, one of which was answering phones at a construction company in Atlanta. 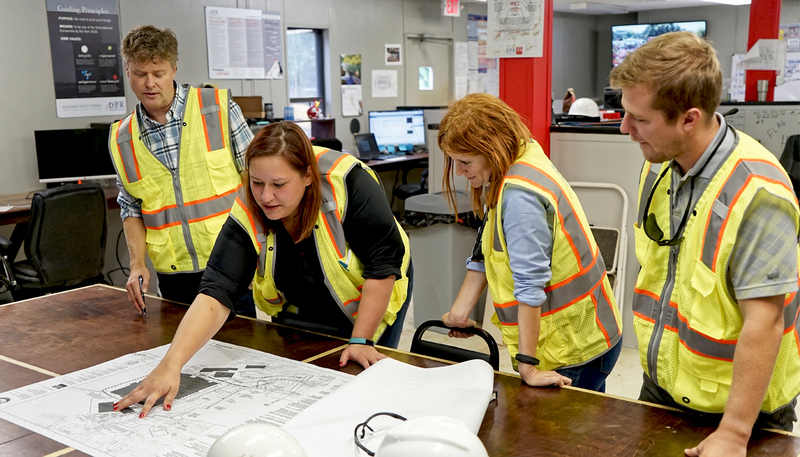 Sitting at the front desk, Snedeker–whose mind naturally craves challenges and problems to solve–began offering her help to the estimators and accountants in her office. With the encouragement of her colleagues, she earned her B.S. 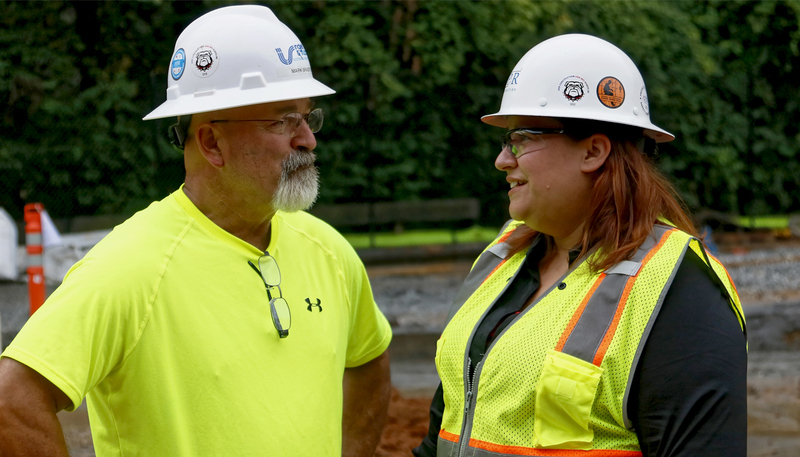 in construction management with a minor in business administration from Southern Polytechnic State University, and eventually returned to Georgia Tech for her master’s in building construction and integrated facility management. She became a project engineer, and never looked back. Since she joined DPR in 2013, Snedeker has been a crucial contributor to growing DPR’s relationship with the University of Georgia (UGA). 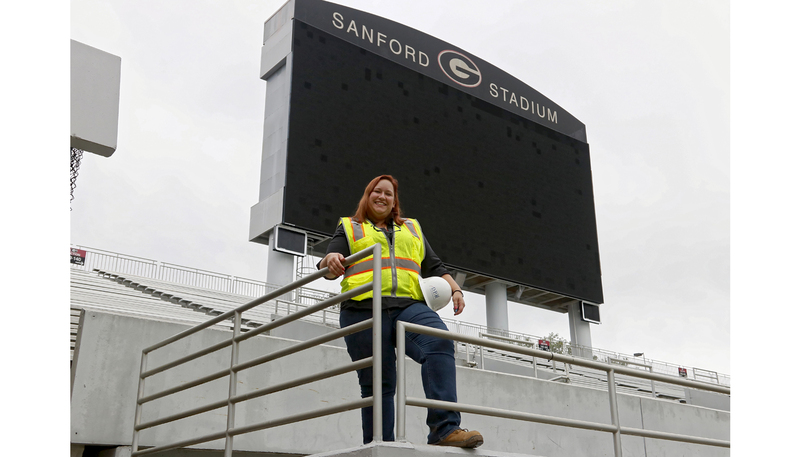 Now a project manager, Snedeker has worked on UGA’s Terry College of Business, UGA’s Indoor Athletic Facility and is currently managing UGA’s design-build improvements to the west end zone at Sanford Stadium, the tenth largest college football stadium in the country. Snedeker embraces the challenges of renovating the stands, locker room, recruit club, plaza and concourse area of UGA’s beloved Bulldogs, all while over 94,000 curious fans flood the stadium for this season’s six home games. Since the project is scheduled for completion in summer 2018, the DPR team has been carefully planning how to demobilize the entire jobsite, which is centrally located near a student center, main dining hall and several dorms, for each game day when football season starts in early September. “Seventeen years ago, if you had told me I would trade high heels for steel-toed boots and safety glasses, and that I would be a contractor who builds things, I would have told you that you were nuts–but I love and am very fulfilled by what I do,” she said. 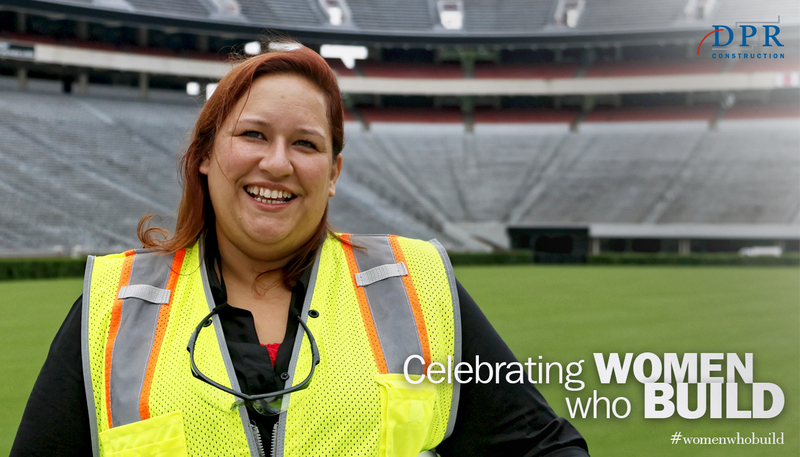 She proudly remembers the first day she saw the completed UGA Indoor Athletic Facility, the first project she led in a project manager role from start to finish. The DPR team kept the facilities active and usable by the student-athletes and coaching staff 24 hours a day. Their late nights mirrored the work ethic of the UGA coaches, who from their offices overlooking the practice field were able to gain a tremendous respect for all it took to build their new home. The collaborative team environment is one of Snedeker’s favorite aspects of her job. She believes no person on a team can be a success without the success of their teammates. “One of my biggest rules is that I would never ask anyone to do something I’m not willing to do myself. If the PE’s are sweeping floors, I am sweeping floors. Everyone is a team, and I am no better or worse than anyone who works next to me in the trailer,” she said. Leading by example is a tenet that drives Snedeker in all that she does. As Atlanta’s intern champion and college recruiter for the UGA campus, she is passionate about mentoring the next generation of builders. Investing her time and expertise into a young person’s career in turn makes her invested in their success, and she still keeps in touch with interns that she worked with many years ago. Snedeker believes that if she can make a difference in a young person’s life, the impact could create ripple effects for the rest of his or her life. When she was young and unsure about what she wanted to do with her career, she didn’t have a strong mentor to turn to–and she wants her interns to always know that they have her. Fifteen years ago, she was right to realize that she was meant to build. But she has gone on to build so much more than buildings; she builds relationships, creates teams and develops people in the same way she approaches every project–she builds them to last.